Every step counts with Fitbit and Fitdigits! You can either link with Fitbit on My Fitdigits or in the Fitdigits apps. 1. 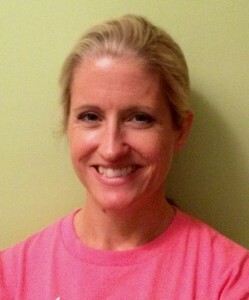 Login to my.fitdigits.com with your Fitdigits username and password. 2. Tap Menu > Partners > Fitbit > Link Account. If you have more than one partner linked, you also need specify which one is your preferred Daily Activity data provider. Remember, Fitdigits calories trump Fitbit calories so while you are earning steps during all Fitdigits workouts, your calories burned with Fitdigits will override estimated calories by Fitbit for that exercise. 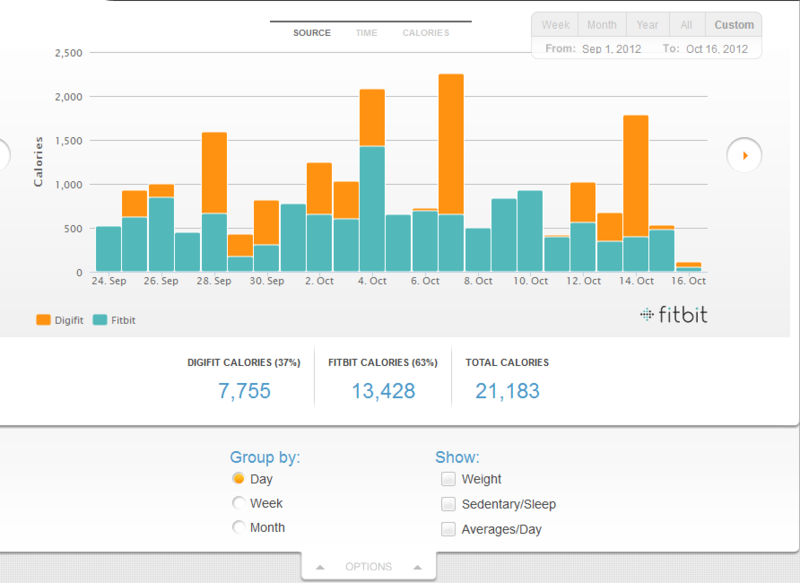 To view your Fitbit and Fitdigits steps and calories graphed over time in the app, go to Menu > Daily Activity. You may want to unlink and re-link, however I would like to point out that we attach to the account at Fitbit, not the actual device itself. So, if you are using the same exact Fitbit account, the data should be flowing in regardless of device. 1. One error you might see is “Insufficient permissions given to retrieve Fitbit data, please re-link your Fitbit account.” If you get that error, it means on the original linking, not enough of the permissions were allowed in order for us to access the profile and/or data. On the Fitdigits side, unlink using the procedures outlined above. Do an unlink / relink, but with all permissions enabled, it should update the data. Please give it a few minutes after re-linking to get all the data from Fitbit. 2. If you don’t see the error on permissions, and are not getting data, it may be an account issue, either on the linking level or a different account connected. The first thing to do is confirm what email/account your current Fitbit is syncing to – you can find that on http://www.fitbit.com – login with your Fitbit credentials, confirm you can see the steps there, then click on the gear at the right and go to Settings. You can see the email in the upper left and Profile section. Often this is a timing issue. If you wait a couple minutes, then hit refresh, that might be all it takes. However, if you have confirmed that it is the exact same account / email at Fitbit you were using (see above) – can you confirm the data has gone from your device to the Fitbit.com servers? The flow of data is “Device (> sync to >) Fitbit app (> sync to >) Fitbit.com (> sync to > Be Colorado. It has to show up first on Fitbit.com (not the app only), then, with a little delay but not too much, show up on Fitdigits. Note that Fitdigits, per the terms with Fitbit, only updates steps / checks for updates in any given day twice in the current day, then trues up the number if necessary the following day(s). You definitely want to make sure nothing has changed – no new devices recently, new email, anything like that. If so, an unlink and re-link might clear things up as long as data is showing in the Fitbit.com site. We did run into an issue with a new Fitbit the other day and had to have a Fitbit support rep tell us how to logout / log back into the Fitbit app and re-assign the account to a new device in order to get it to sync the data from the new device from the app to the cloud. Is There a Recommended Type of Fitbit? There is no recommended type of fitbit per-se. It really depends on how interested in actual tracking and getting involved with Fitbit you are, what your budget is, and other factors. Here are some good links to places that can help you make a decision – the low end is the Fitbit Zip, but it doesn’t track sleep, floors or elevation – but does track enough to qualify you for the Be Colorado. Move. incentive. They are all compatible with Move program and it doesn’t matter which one you use. If you are still having trouble, please contact Fitdigits support. Fitbit has recently announced some changes to the way they count user’s active minutes. Before if at any time you picked up your pace Fitbit would count that increase in effort as “Active” minutes, and simply sum up those minutes each day. However, in compliance with suggestions by the American Heart Association, Fitbit will only count active minutes after 10 minutes of continuous motion. This change will not affect your step count. As a result, you may find that your Fitbit active minutes will be lower for the foreseeable future. 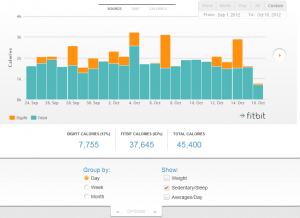 For more details, read the blog post Fitbit Extends Minimum Time Frame for Active Minutes. Some new health and fitness trackers have emerged onto the scene that combine both activity tracking and heart rate monitoring. Chief among these are the Fitbit line of heart rate trackers. Many users have written in asking if we are compatible with Fitbit, and the answer is both yes and no. Yes, Fitdigits will get steps, activity and sleep data from these monitors. However, Fitdigits will not receive heart rate, either during a workout or resting heart rate from Fitbit devices. These sensors do not transmit their heart rate data like other Bluetooth Smart HRMs like the Scosche RHYTHM+, so the Fitdigits app is not able to connect to them to use the heart rate data during your workouts. This data is instead sent, along with your other recorded activity data, directly to your Fitbit account where, at the time of this post, we do not have a way to retrieve that data. Fitdigits is proud to introduce three new health and fitness partners- The Jawbone UP, Fitbit Flex and Withings Pulse. These devices are a great companion to Fitdigits, as they track daily activity and more while Fitdigits monitors your workouts, and by combining them you get your daily caloric burn. Linking them with your Fitdigits account is a piece of cake! 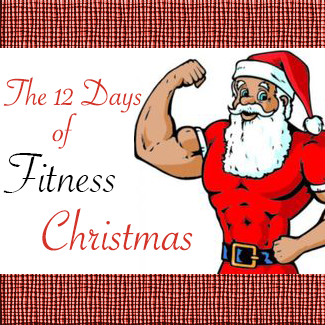 Go to My.Fitdigits and login with your Fitdigits username and password. On the top right, directly below your profile icon, you will see “Partners”. 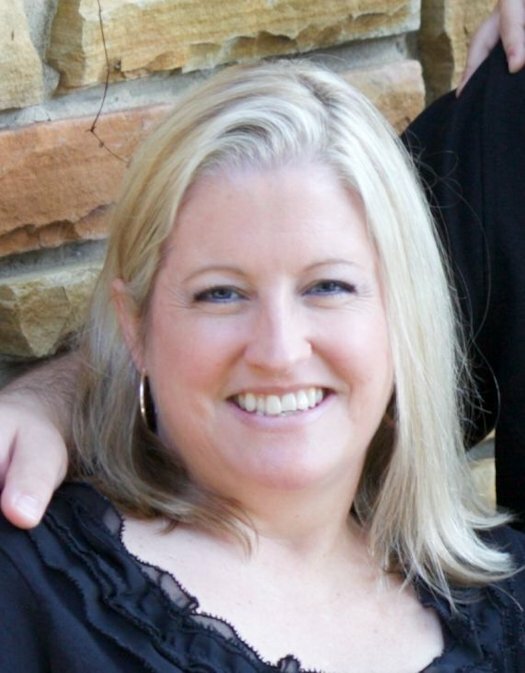 Click here to get to the Fitdigits Partners Page. Go to “UP” for the Jawbone UP, “Withings” for the Pulse, and “Fitbit” for the Flex. Click “Link Account”. On the login page, enter in your username and password associated with your activity monitor. This may or may not be different from your Fitdigits username. Your accounts are now linked. 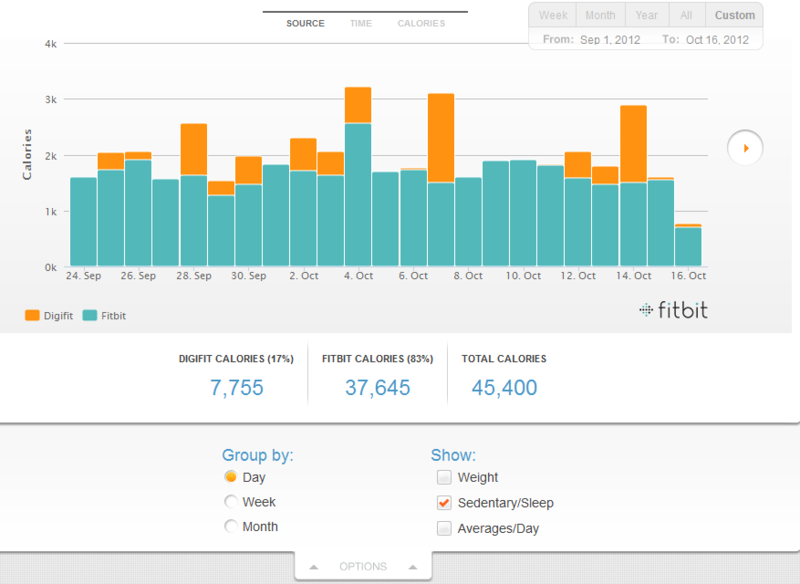 You should be able to view your daily activity on My.Fitdigits under Health -> Activity. Computers are awesome. We have an all on one calculator, typewriter, art studio and more in a 7-pound shell. We have compiled centuries of thoughts, feelings, epiphanies, darkness, love, hate, innovation and introspection, all within the neat confines of a 17-inch screen. We have the information of the world at our fingertips, allowing for more and more jobs to be tied to a computer screen then ever before. This is a great thing for the mind. Not so much for the body. The ubiquity of computer-driven professions has led to a boost in those who lead a sedentary lifestyle. 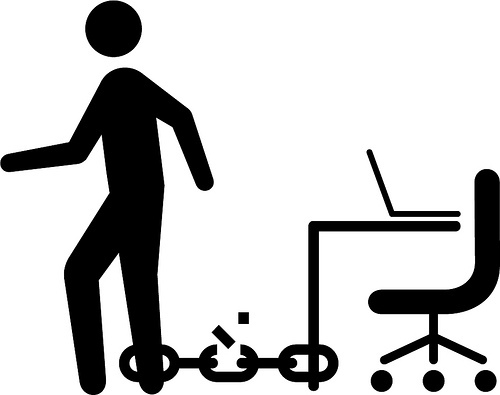 We are chained to our desks, unable to pull ourselves away. Well you need to break the chain. Numerous studies have championed the dangers of a sedentary lifestyle, with the implication that daily activity is just as important as exercise. Something as simple as walking around the block a few times a day can do wonders for your short and long term health. With that in mind, make a point to get up from your desk at least 6 times a day, everyday. If you tend to get lost in your workday, set alarms or reminders for yourself. It may seem like a minor annoyance to break the rhythm of the workday for a set of jumping jacks or a walk around the block, but all of those little actions add up to a larger result. A great way to track daily activity is with a Fitbit Activity Monitor. Fitdigits, Fitbit and a variety of other health and fitness outlets have long stressed the importance of getting 10,000 steps in each and everyday. We have posted 10 Tips to Walk 10,000 Steps Every Day in the past and in general stressed the importance of reaching that nice, round benchmark. Well, it might be time to rev things up a bit. If you have been using an activity monitor for awhile and hit 10,000 steps regularly, really challenge yourself this holiday season and in 2014 to hit 11K each and every day. 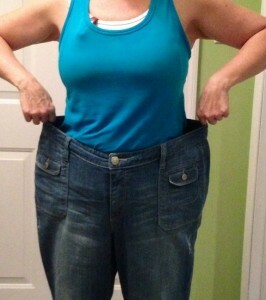 If you added an extra 1,000 steps everyday, that adds up to burning an additional 5 pounds a year! Fitdigits is not only compatible with Fitbit. We now boast compatibility with a plethora of fitness sensors, such as the Withings Pulse, BodyMedia and Jawbone UP. To connect these trackers with your Fitdigits account, check out our partners page. Place the tracker into the slot on your wristband and wrap the wristband around your non-dominant wrist. Once you are in bed and ready to fall asleep, press and hold the tracker’s button for 2+ seconds. You will see a stopwatch and the other icons blink, indicating that you are in sleep mode. When you wake up, hold the button down for 2+ seconds to stop the sleep recording. Your tracker’s icons will stop blinking to indicate you’ve exited sleep mode. Once you exit sleep mode, your Fitbit One will resume displaying your daily totals. Sleep records will show up on your Fitbit Dashboard the next time you sync your tracker. Last night’s sleep will appear on today’s page. Graphs on your Dashboard will reveal how long you slept and the number of times you woke up. Over time, you can apply what you learn to help you sleep more soundly. For quite some time Fitdigits has synced Fitbit sleep data to My.Fitdigits, but now the sleep data will sync right into your Fitdigits app! 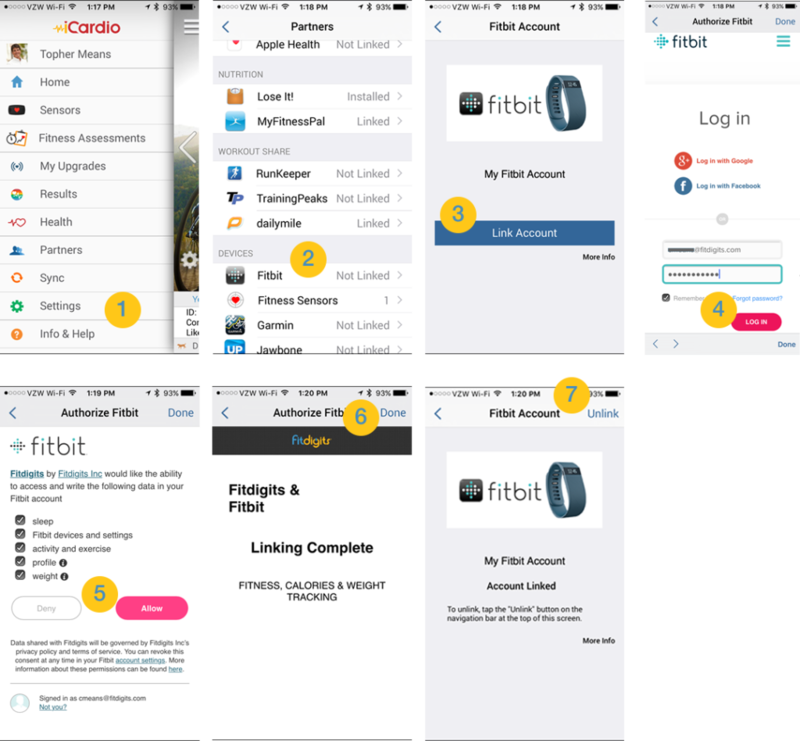 Just link your Fitbit account with Fitdigits, and then perform a sync. Once you have done so, you will be able to view your Fitbit sleep data in the app under Health -> Sleep Tracker. Start recording and tracking your sleep with Fitbit and Fitdigits today!